Foster care makes me wishy-washy – wanting to do something but afraid to do it at the same time. 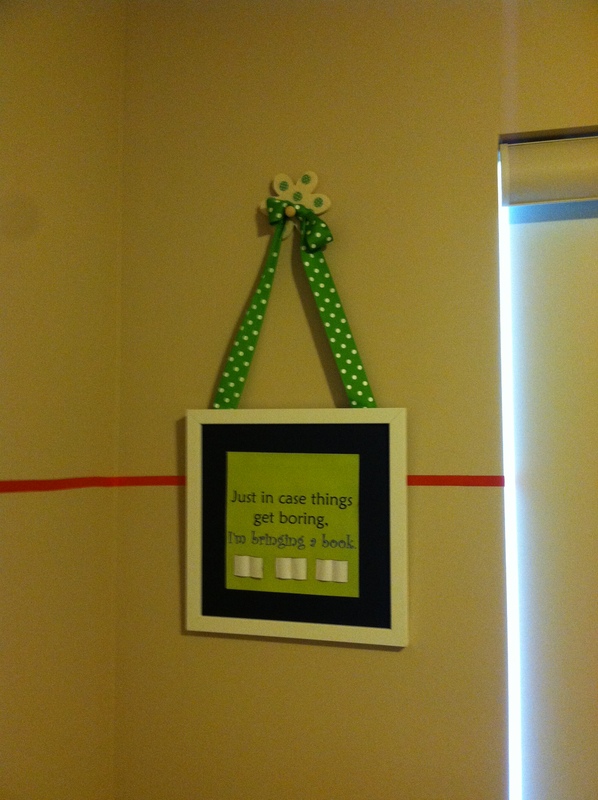 Right now, I am prematurely decorating a little girl’s room in my house. I know I should wait until we know for sure a little girl is coming. But we won’t know for sure until she is here. That is what I did last time… didn’t prepare at all but then I was, well, unprepared. My family snuck into my house to set up a crib for us to come home to that time. This time, I want to be a little more ready. 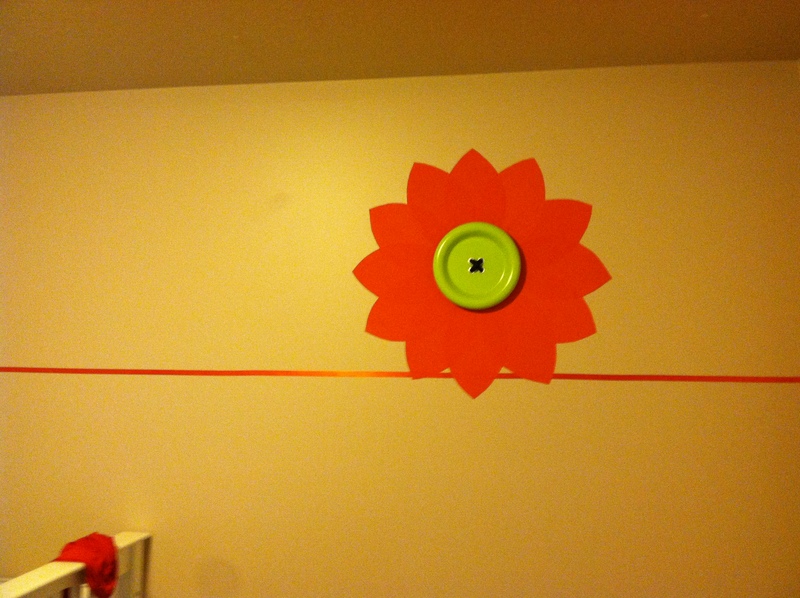 My plan for the room was to have fun with orange and I imagined a giant orange flower painted in one corner and then a 1-inch orange stripe to circle the whole room. 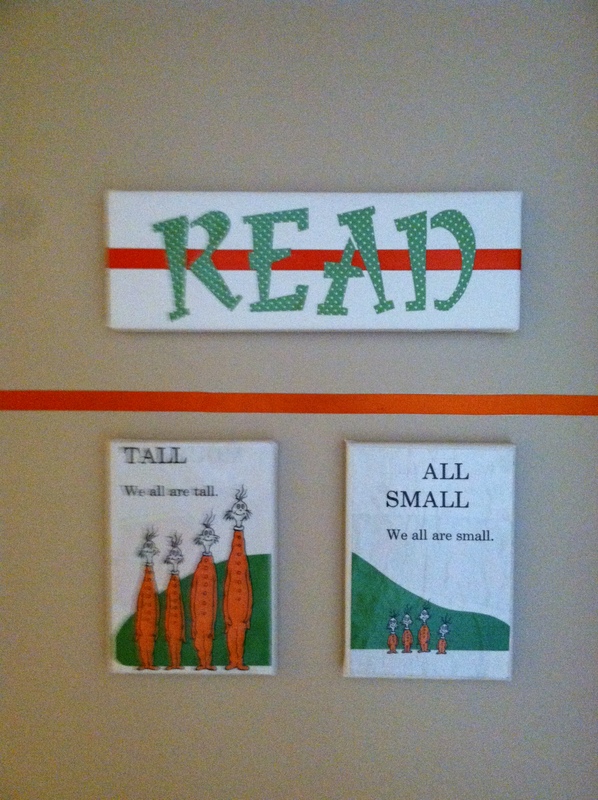 But I couldn’t bring myself to actually paint – which is foster care’s fault. I can’t commit to permanency this early – anything could happen! Paint is too permanent. Placement is not. That’s when pinterest saved the day. Just in case things get boring, I’m bringing a book. If the placement of little sister doesn’t work out, I may just move into the room myself. By the way, you were not under the impression this was a blog written by a good photographer, were you? Hope I’ve effectively disabused you of that notion by now. The walls in the room are all the same color and the green in the button really matches the green of the birdcage but my photography skills didn’t really capture those nuances. So cute! Love that it is easy to change. Thank you Pinterest. I love the ideas that I could never come up with on my own. You did a great job! 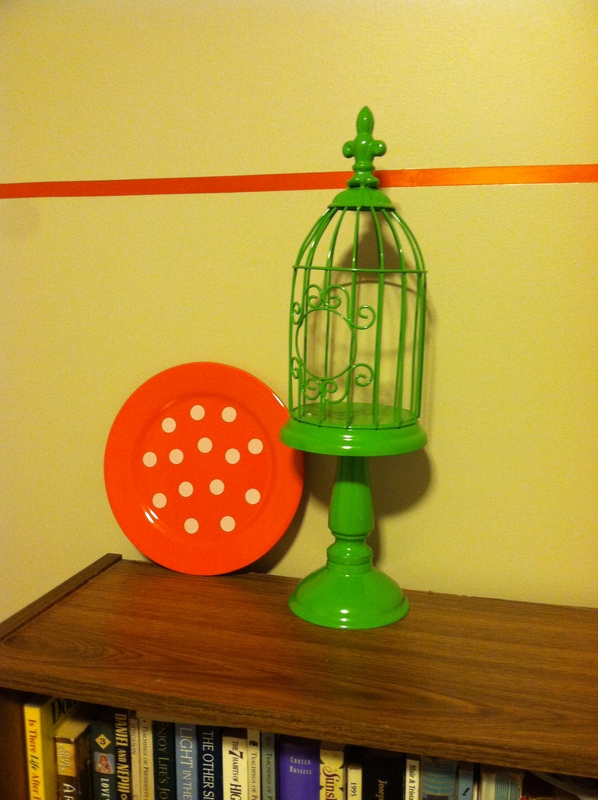 I’m really like’n the vibrant green birdcage!